ASPEN, Colo.—Director of National Intelligence Dan Coats explained on Thursday he felt obligated to “correct the record” when he issued a statement backing up U.S. intelligence findings that Russia meddled in the 2016 presidential election. “I was just doing my job,” Coats said at the Aspen Security Forum. Coats issued the statement following President Donald Trump’s joint press conference with Russian President Vladimir Putin in Helsinki, where Trump appeared to take Putin’s word that Russia wasn’t involved in election meddling. “I just felt that at this point in time that what we had assessed and reassessed and reassessed and carefully gone over still stands and that it was important to take that stand on behalf of the Intelligence Community and on behalf of the American people,” Coats said. 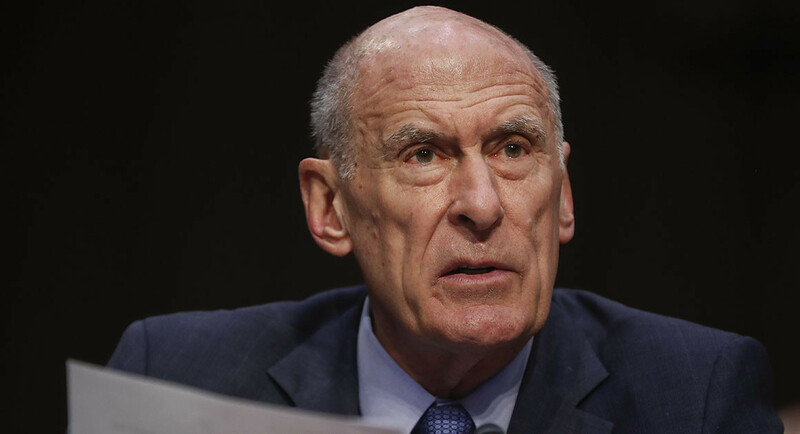 Coats said he had a “good relationship” with Trump, but Coats’ comments Monday were nonetheless part of a series of contradictions between the nation’s top spy and the president over Russian meddling in the 2016 presidential election and whether the Kremlin is still attempting to undermine the U.S. electoral process. Trump appeared to undercut recent statements by Coats on Wednesday when he said the Russian government is no longer trying to interfere in the U.S. political process. White House press secretary Sarah Huckabee Sanders later attempted to walk back the statement, saying that Trump simply said “no” to answering additional questions from reporters and that he hadn’t said Russia wasn’t attempting to undermine U.S. elections. Top U.S. intelligence agencies have unanimously concluded that Russia interfered in the U.S. elections to aid Trump and damage his Democratic opponent, former Secretary of State Hillary Clinton. The president appears to have finally endorsed the findings that Russia meddled in the 2016 election. But that acceptance came after considerable back-and-forth, including Trump’s willingness to accept Russian President Vladimir Putin’s denial that the Kremlin had meddled in the election. After being widely panned for taking Putin’s side over the U.S. intelligence community during a joint press conference in Helsinki, Trump later chalked that up to an incorrect word choice. “We have been clear in our assessments of Russian meddling in the 2016 election and their ongoing, pervasive efforts to undermine our democracy, and we will continue to provide unvarnished and objective intelligence in support of our national security,” Coats said in the statement. In Aspen, other high profile members of the Trump administration have also reaffirmed the findings on Russian meddling. FBI Director Chris Wray said Wednesday that he still agrees with the assessment and that Russia continues to “sow divisiveness” in the U.S. political system. And Homeland Security Secretary Kirstjen Nielsen said on Thursday that “Russia was absolutely attempting to interfere in our election systems,” but largely avoided discussing whether Trump benefited from Russian actions. Pressed further on the Helsinki summit, Coats said he would have recommended against Trump meeting one-on-one with Putin and didn’t know what happened during the hours-long Trump-Putin meeting, with only translators present. Asked about another controversial Oval Office meeting in May 2017 between Trump and Russian Foreign Minister Sergei Lavrov and Ambassador to the U.S. Sergey Kislyak, Coats said he had no advance notice. Pressed by moderator Andrea Mitchell of NBC News on criticism of the intelligence community, including from Trump, Coats largely brushed off questions of whether he has considered resigning. “I’ve tried to retire twice. … I failed both times,” Coats said, referencing the two stints he served in the Senate. “That’s gonna be special,” Coats remarked, drawing laughter from the audience.